Bodilight News & Special Offers Brows that WOW! 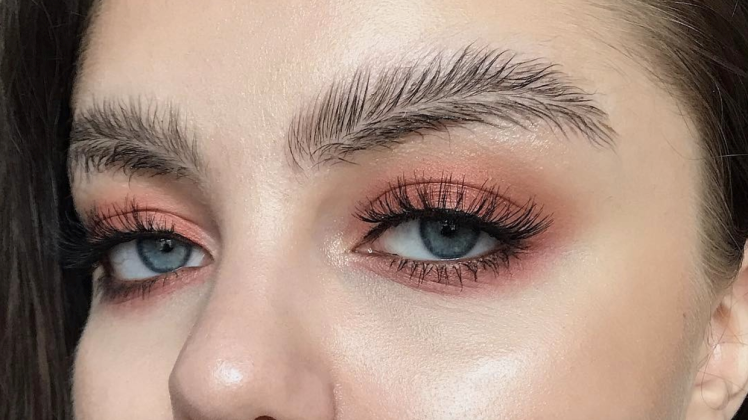 There will forever be different crazes going around… have you seen the new Feather Brows? Is anyone brave enough to try it?! If not we offer HD Brows, which is an amazing treatment that will transform your brows! 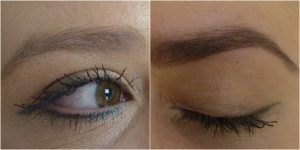 Firstly you have a consultation with one of our trained HD Brows therapist, she will listen and take into consideration how you want your brows to look, then she will give your advice on what shape will be before for your brows and compliment your face shape. Then she will tint your brows, this can be as light or as dark as you want. 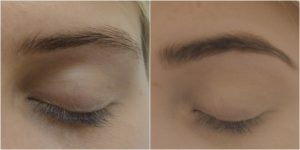 If you have thin brows and want them to look a bit fuller then this tint it amazing, she won’t just tint the brow hair but she will tint the fluffy hair that surrounds the brows to give the illusion that the brows are thicker than they are. Tint test is required 48hrs before your treatment, you can pick these up in salon, and we will even put them on for you! Then the exciting part happens… shaping! 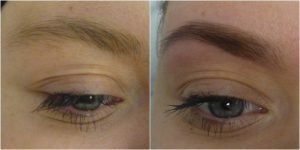 Using a combination of waxing, threading, tweezing and trimming (in that order) we tailor the shape of your brows to compliment the shape of your face, not every eyebrow shape will suit your face shape which is why we are here to help. Waxing; using a special blend, HD wax is used to painlessly and precisely remove unwanted hair from the above and below the brow area giving your brows a smooth finish. Threading; the ancient Eastern art of hair removal (which has only just started getting popular within the last couple of year), involves using a special thread to blend hairs into the brow area, and removing unwanted hairs from the brow. Tweezing; any stray leftover hairs are tweezed out to perfect your HD brow. 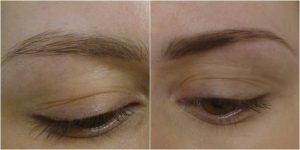 Trimming; using the specialised HD scissors, brow hairs are trimmed back to tame any wild and unruly hairs to create a neat and tidy brow line. After this you will receive the finishing touches and after care. Hair follicles are closed using a skin calming tonic and then cleansed over with a soothing lotion. After this we will apply mineral powders to the area to calm and camouflage any redness around the brows. Your therapist will then either use a HD Brow pencil or a HD Brow palette (or both) to fill in any gaps. Then a HD Brow Beater wand will be applied to the brows to sets the hairs into place for that immaculate finish. Lastly your therapist will then give you home care advice and guide you with how you should be applying brow makeup (if you do).